Get complete visibility into what’s going on inside your databases with continuous Oracle Database auditing. 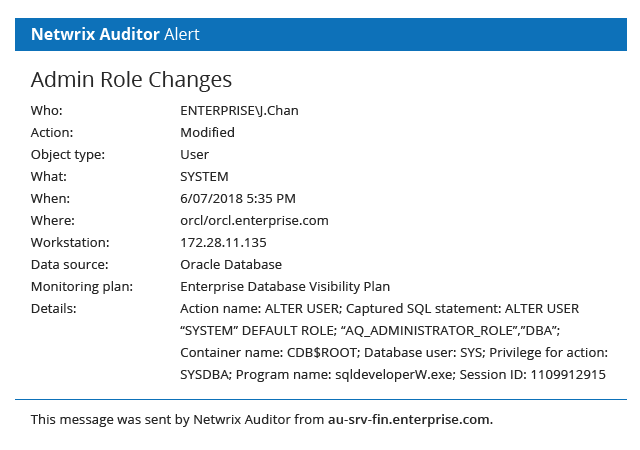 Netwrix Auditor for Oracle Database provides deep insight into all changes and access events in this critical system to help you maximize database uptime and detect data security threats faster. Helps you detect high-risk user accounts by aggregating their anomalous activity across your critical systems, both on premises and in the cloud. Let’s say you’ve enabled standard or even fine-grained auditing in Oracle Database and have an employee responsible for reviewing your audit trail. How long does it take you to determine who created a new trigger? Or the name of the user who deleted sensitive data from a database? Netwrix Auditor helps you find the answers faster and with a lot less effort. It’s easy to get lost in endless native Oracle logs, which capture all user actions by audit statement, such as Oracle AUDIT TABLE, Oracle AUDIT SESSION and Oracle AUDIT USER. Instead, enable insightful DBA auditing and quickly detect any suspicious activity, such as changes to security settings and role modifications, so you can respond in time to avoid incidents and maximize database uptime. Examine malicious SYS and SYSTEM user activity inside your databases, such as an audit policy removal or the deletion of sensitive data, and detect traces of an earlier attack, such as someone enabling the system account or changing Oracle security settings. 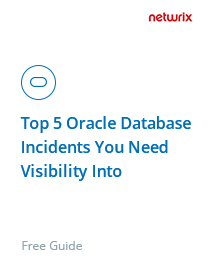 Keep your admins accountable by gaining complete visibility into their actions in Oracle Database. Use the actionable audit data to quickly spot any activity that might hurt database security and availability, such as unauthorized logons or data erasures. IT compliance standards require auditing Oracle Database constantly and keeping a standard audit trail for years. Netwrix Auditor helps you prove IT compliance by providing out-of-the-box compliance reports mapped to specific controls of regulatory standards, such as PCI DSS, HIPPA and GDPR, and securely retaining your audit log data for more than 10 years. Read how Netwrix Auditor for Oracle Database enables you to secure databases and facilitate IT compliance. 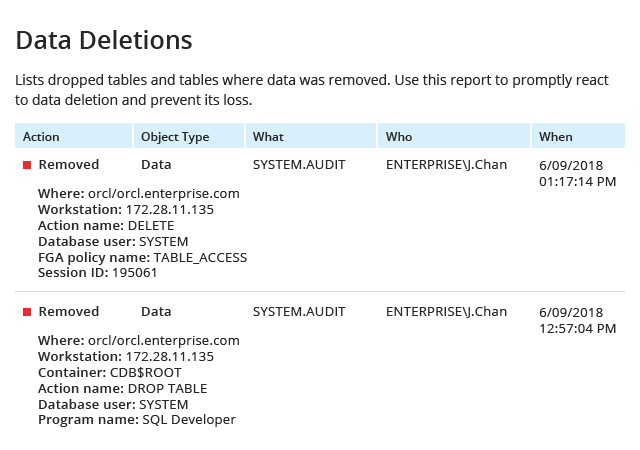 See how Netwrix Auditor’s security intelligence delivers visibility into the top 5 Oracle Database incidents. Using Netwrix Auditor, ZEON performs comprehensive database auditing and simplifies compliance audits. Using Netwrix Auditor, Medical Center Clinic slashes IT workload by 40% and ensures HIPAA compliance. Netwrix Auditor helps Tesica Services investigate security incidents faster and reduce the risk of data exfiltration. With Netwrix Auditor, The Football Pools gains visibility into critical systems by video recording every remote DBA session. "I don’t have to process raw audit data manually anymore to identify what’s happened and who changed what; instead, I receive daily enterprise-level reports that provide a complete overview of changes in administrator roles and databases content." Download a free 20-day trial of Netwrix Auditor and deploy it on Oracle Database. Auditing Oracle Database configuration and changes, as well as logons and data access events, is essential for organizations that rely on Oracle Database to run their businesses. Tables, views, stored procedures, triggers, roles and privileges go through many changes on a daily basis. Because any suspicious action might lead to a security breach, it makes it essential to keep track of all activity that occurs across databases. Netwrix Auditor for Oracle Database empowers IT teams to efficiently audit Oracle Database by providing complete visibility into every action for security and compliance. Mid-sized and large organizations worldwide trust Oracle Database as the back end for their business-critical applications. Therefore, sensitive information stored there can be at risk if any illicit activity happens. By enabling database security monitoring of all activity across Oracle Database, IT departments can safeguard their organization’s critical assets. In fact, they can minimize the risk a database security breach with timely detection of unsanctioned data access events, deletions of data and failed activity. Access control in database security is vital for the protection of sensitive data against unauthorized and unnecessary access. Keeping an eye on both successful and failed attempts to access production databases and sensitive data enables organizations to spot illicit activity before it’s too late. 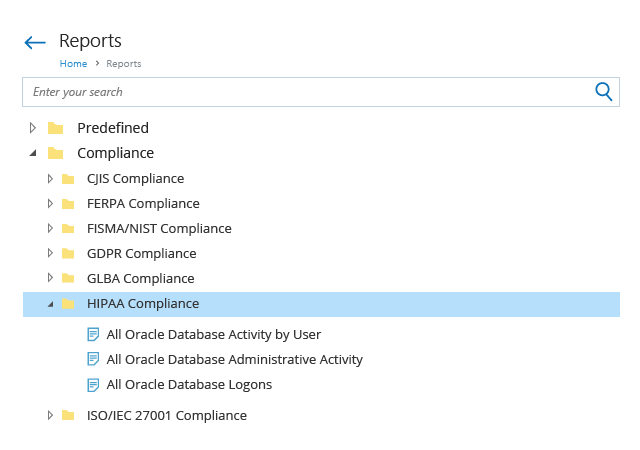 Netwrix Auditor for Oracle Database delivers details about every data access attempt, including when the event occurred and exactly what the user tried to do during the activity session, thereby helping to strengthen overall Oracle access control. 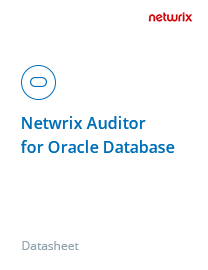 Netwrix Auditor for Oracle Database provides a two-tiered (file-based + SQL database) storage that keeps your consolidated Oracle Database audit trail archived for more than 10 years. Plus, the application ensures easy review and ongoing availability of historical database audit trail any time you need to investigate a security incident or address auditors’ questions. Oracle Database environments are frequently managed by multiple DBAs and operators, which makes it super hard to keep an eye on changes and data access events, ensure accountability, and keep critical assets secure. The built-in monitoring functionality plods through SQL statements, gathering performance statistics, and then puts together a performance analysis of your database storage. However, this is not enough to secure your data, because if even a small change or unauthorized access by a user goes unnoticed, it can wreak havoc, including resulting in a data breach or putting your Oracle Database out of service. You need to complement Oracle monitoring with proactive detection and blocking of emerging threats, as well as the ability to track down suspicious actions before they bring your organization to a screeching halt. Because Oracle databases hold highly critical information such as credit card data, Social Security numbers and personally identifiable information (PII), it’s no wonder they are appealing to attackers looking for jackpot targets for data theft. To ensure Oracle database security and align with compliance requirements, having data encryption in place simply isn’t enough. You need efficient auditing that will help you gain full access control for your production database and data, stay on top of database users and keep a closer watch on privilege users, and detect and remediate arising threats before they wreak havoc. Oracle Databases are one of the top-wanted assets for malicious insiders and external attackers looking to highjack highly sensitive data. This means that staying abreast of all activity across your databases, from access to tables to changes to roles, and quickly spotting and blocking suspicious actions is essential to minimizing the risk of your data be compromised. But what if you need to go back in time and answer an auditor’s questions about audit records from a year ago? Or what if you need some insights from the not-so-recent past to trace actions and complete your in-house security investigation? 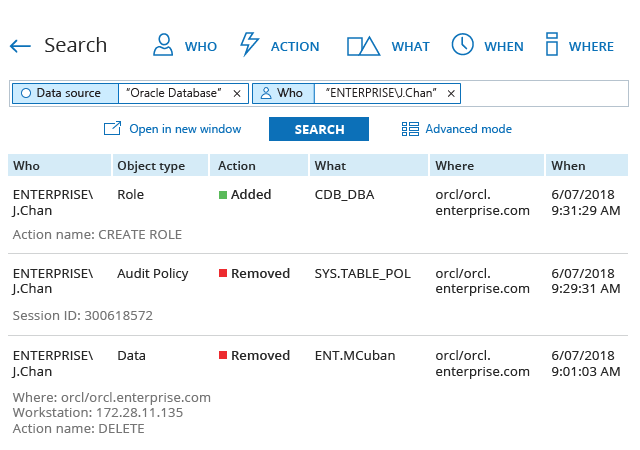 To get a complete, unified picture of all activity across your databases that you need and meet strict compliance requirements, you need standard auditing that you can trust, that securely collects and stores your Oracle Database audit trail, and that enables you to access your audit log whenever you need to, whether it’s a year from now or five years down the road. Organizations worldwide rely on Oracle as the back end for their business-critical applications, storing highly sensitive data, such as individually identifiable information (PII) or electronic health information (EHI), in their Oracle databases. Even one unauthorized or unnecessary access can result in the loss or exfiltration of valuable or protected information. Therefore, it's critical to audit sessions performed by users across your databases, including all logon attempts - both successful and failed logons. The more detail your Oracle user login history includes, such as exactly what actions were performed from which terminal and the timestamps for the logon and the logoff, the more visibility you have and the more able you are to minimize the risk of privilege abuse and breaches, and prove to auditors nobody accesses your data without a legitimate business need. Oracle is the most popular database for business-critical information, and Oracle 11g remains the most widely used version. Data security best practices, compliance standards and the need for business continuity all require database auditing in Oracle 11g. Monitoring account changes, SQL statement execution, data access and user behavior enables you to spot potentially harmful events and take action faster, and DBA auditing helps prevent DBA privilege abuse. Native monitoring options include the standard audit trail and more fine-grained auditing, but either way, reviewing the mountains of audit records can be cumbersome and time-consuming. Netwrix Auditor streamlines database auditing, saving you time for more urgent tasks. Business operations depend on data, and organizations around the globe choose Oracle Database to store this critical asset. With multiple users and DBAs accessing the database every day, it is essential to establish a proper audit policy to ensure data security. For organizations that are subject to various regulatory requirements, Oracle 12c audit is a necessity for regular compliance reviews as well: Audit records are a valuable source for answering auditors’ questions, and a complete, reliable audit trail enables you to prove that all required controls and security policies are and have always been in place.